It almost always feels as if I have a million new ideas wandering around inside my head, bumping into each other, screaming for attention, knocking stuff over and making a general mess. The vast majority of my ideas don't make it outside my head (poor things), but the ones that do send me on side trips of discovery that can distract me for days on end, if I let them. Most of those ideas meet an abrupt end with little fanfare, but I usually learn at least one new thing along the way, which is awesome. Lately, I've been on a rather intense side trip, allowing myself the distraction, in search of a practical way to put together an idea I've had for ages. A couple of weeks ago, I thought of a possible way to make it work and I've been madly reading and researching ever since. My brain is now bursting with old ideas and brand new ones and all sorts of new knowledge and information, but today I have the worst headache and I thought, instead of reading, I'll paint. Or write a post. Or both. I wanted to try to share a little about the things I've been learning and maybe give you a tiny, cryptic hint about the direction I'm heading. I ended up with two sort of doodly, watercolour doodles, both on subjects I've been thinking about constantly for the past few weeks. That second one, it's one of the best things I've learned so far. I'll be talking a lot more about that in future. 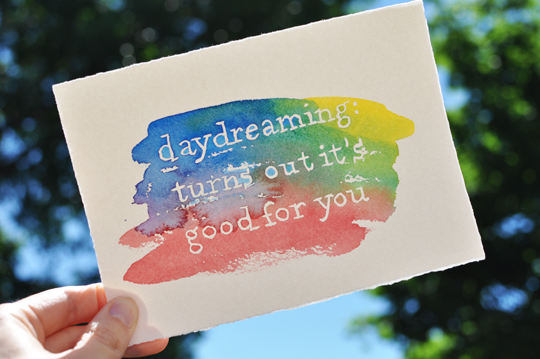 What have you been daydreaming about lately? 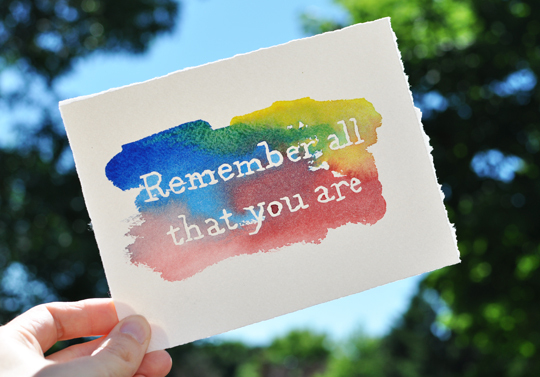 I love how those quotes turned out! Please share how you did them! I'm excited to hear more about the second one. Lovely. I really like both of those.